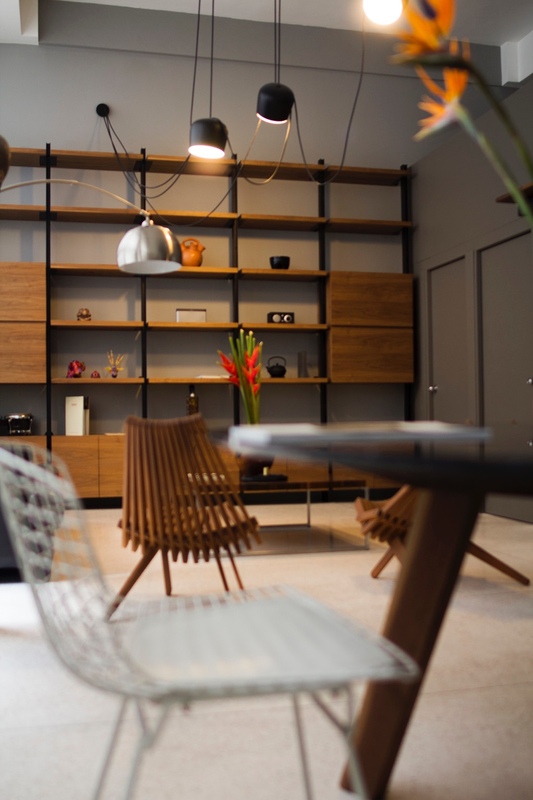 Mexico City’s contemporary design scene is budding. 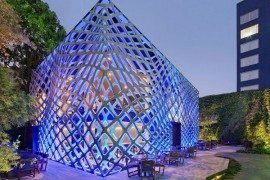 In a city rife with design heritage, it is only recently that contemporary design has enjoyed a new sense of vigour and excitement. Today’s designers, both fresh and seasoned, are realising the vast potential of Mexico City’s creative capabilities. 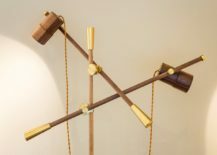 Experimental and burgeoning design trade shows, including Caravana Americana, La Lonja MX and Design Week México, are responding to an increasing interest in contemporary Mexican design, the quality and diversity of which is considerable. 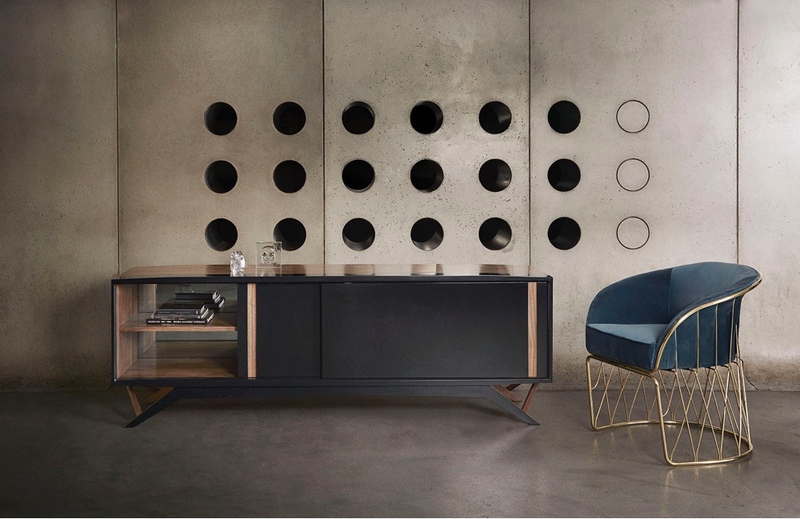 Octavo cabinet by Alexander Díaz Andersson and Equipal chair by Pedro Ramírez Vázquez. 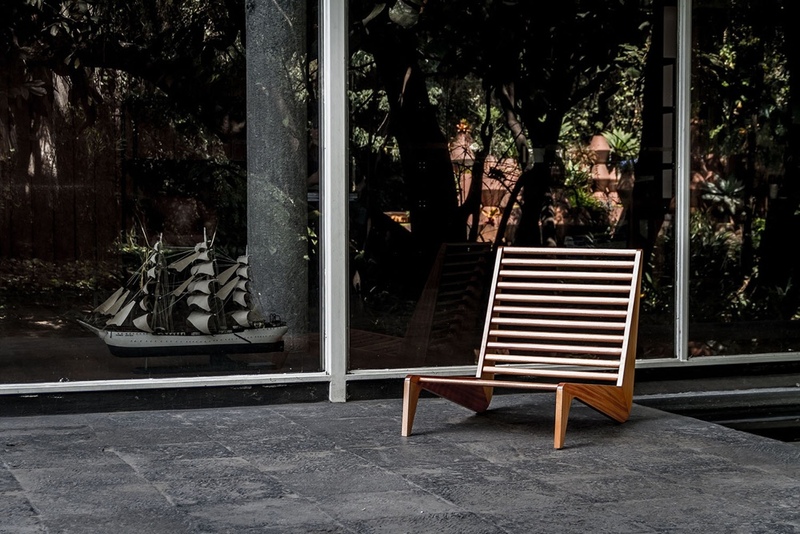 The Ala bench by Alexander Díaz Andersson, is a smart outdoor seat inspired by 1950’s Mexican furniture. 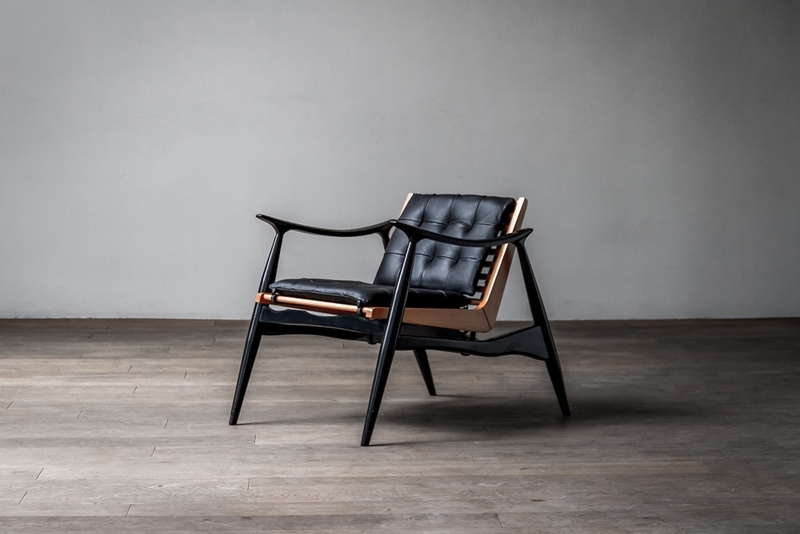 The Atra chair by Alexander Díaz Andersson. 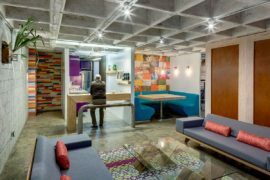 Design studios are discovering a new sense of confidence and taking greater risks in what is an exciting time for Mexican design. Three of these studios are Paul Roco, Luteca and LCMX. 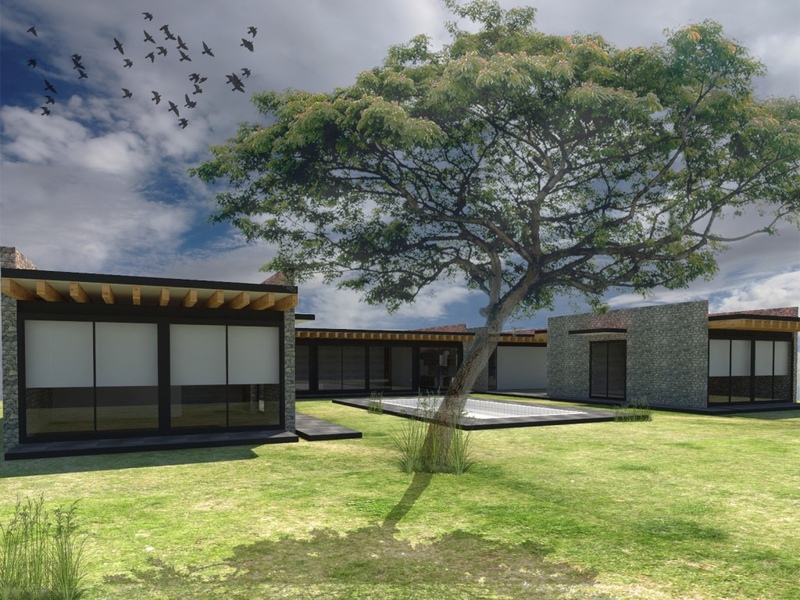 Mexican workshop Paul Roco was established in 2008 by Rodrigo Berrondo and Pablo Igartúa. 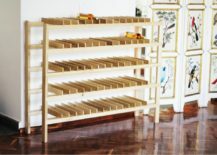 Specialising in woodwork, the workshop meshes classic carpentry techniques with modern innovation, producing furniture on a large-scale. 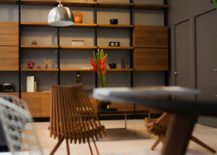 Respecting both functionality and aesthetics, Paul Roco (a fictional character) works diligently to supply quality furniture to the commercial sector in Mexico City and endeavours to improve the spaces people inhabit. 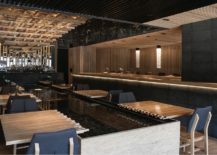 From shopping centres to corporate lobbies, restaurants to hotels, Paul Roco is adding its own unique style of woodcraft to various urban contexts, by mixing heritage with an industrial edge. 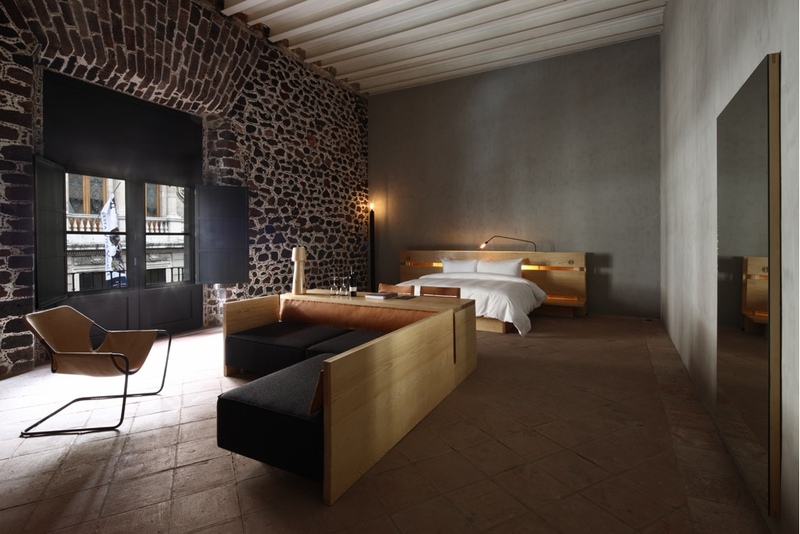 A room at the Downtown Hotel in the Centro Histórico borough of Mexico City, with interior design by Paul Roco. Kiga. 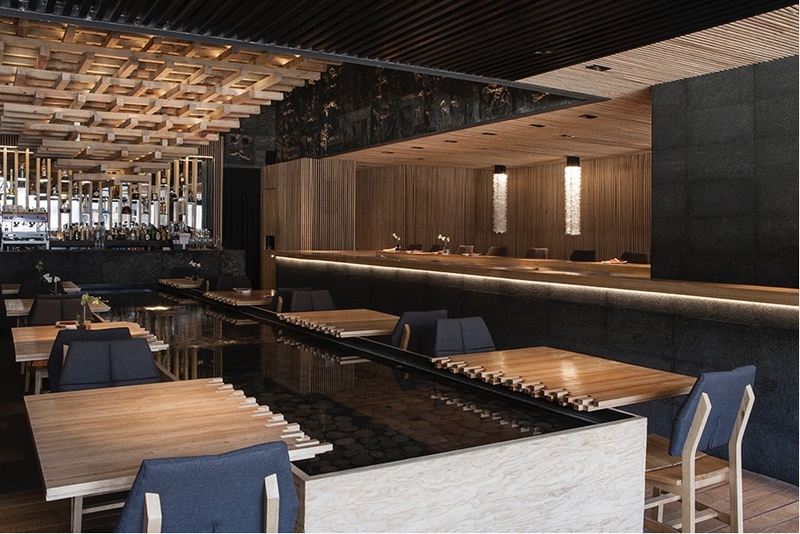 A restaurant at the Paseo Interlomas Mall in Mexico City, with interior design by Paul Roco. 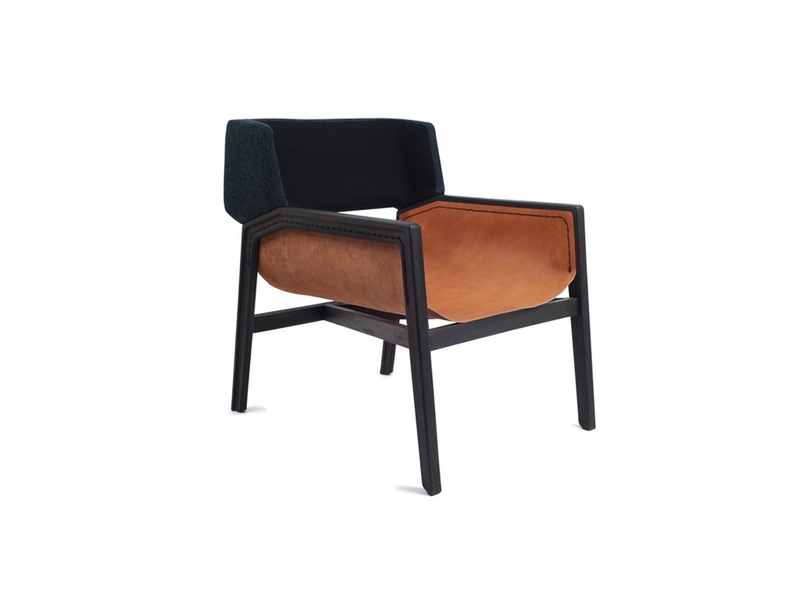 Dante Armchair. 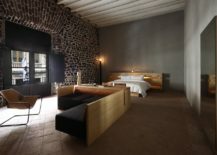 First designed as part of the Downtown Hotel Project for Grupo Habita in 2012. Greta lamps. Curiously, these lamps were designed to portray the fragmentation of a hand grenade the instant after it explodes. All images © Paul Roco. Founded in New York in 2015 by married partners Amanda and Sebastian Reant, Luteca was created with a desire to focus attention on modernist and contemporary Mexican design. Inspired by the wealth of design and cultural heritage found in Mexico and across Latin America generally, Luteca produces collectible works by some of Mexico’s celebrated design masters as well as showcasing the creations of many young and promising Latin American designers. 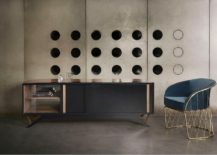 At Luteca, handsome furniture pieces recall the intricate craftsmanship synonymous with Scandinavian and Japanese design. 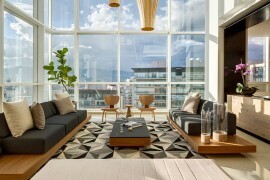 The furniture, made in Mexico City by accomplished Mexican artisans, combines midcentury flair with modern-day production techniques. 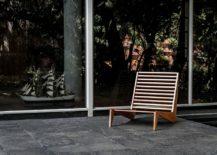 The Ala bench by Alexander Díaz Andersson is a smart outdoor seat inspired by 1950’s Mexican furniture. Alexander Díaz Andersson was born in Sweden and later moved to his mother’s homeland of Mexico. 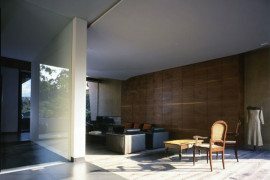 His prepossessing designs draw inspiration from Scandinavia and Mexico, their aesthetic a timeless blend of midcentury and contemporary elegance. 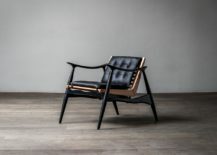 Atra chair by Alexander Díaz Andersson. With a distinctive midcentury aesthetic, the Atra chair is a stunning centrepiece. Equipal chair by Pedro Ramírez Vázquez. 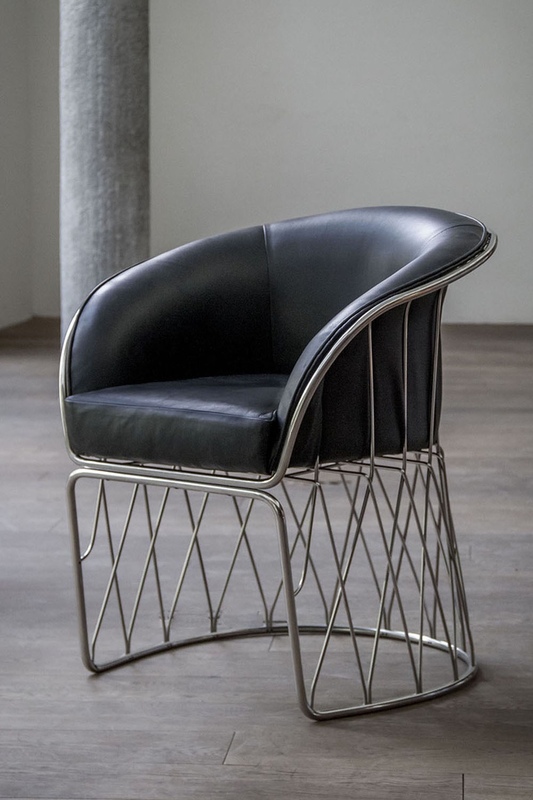 Designed in 1964 by pioneering Mexican modernist Pedro Ramírez Vázquez, the Equipal chair has over fifty-five separate components, each one individually bent by hand. 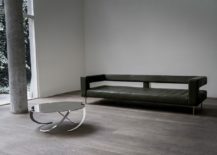 Espiral coffee table by Pedro Ramírez Vázquez and Air sofa by Alexander Díaz Andersson. 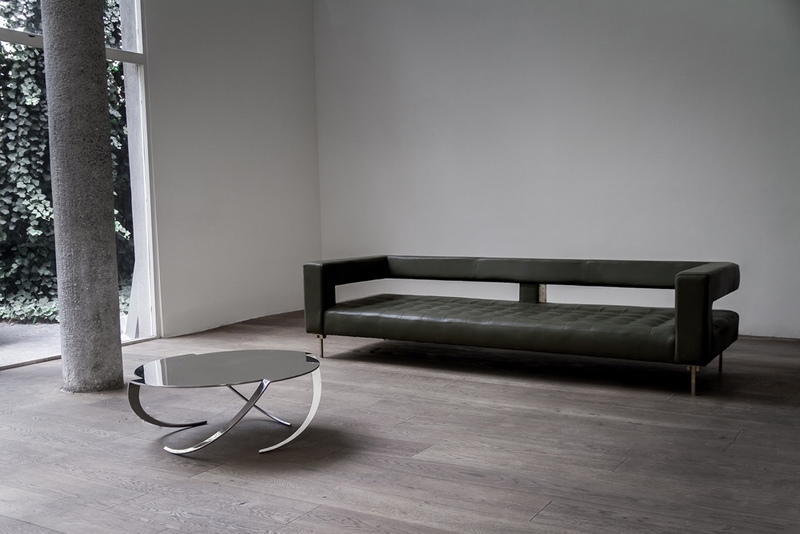 Designed circa 1970, the sculptural Espiral coffee table is a veritable labour of love. The table’s components are formed and bent by skilled Mexican metal workers and then polished for around 300 hours, giving the Espiral a perfect mirror finish. Sleek and low-slung, the Air sofa has a striking profile and is held aloft by its delicate, yet solid, brass legs. 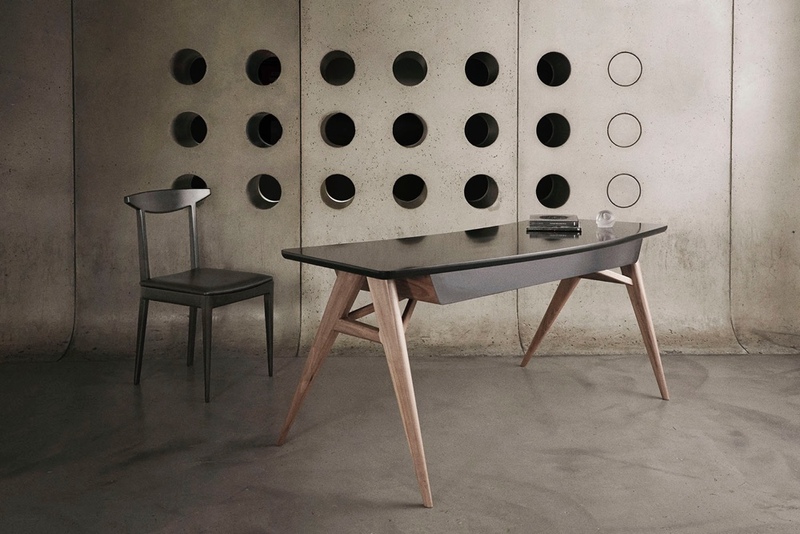 N chair and Roos desk by Alexander Díaz Andersson. 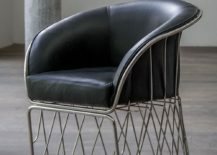 The N chair has a clean and minimal edge, its form inspired by Japanese design and woodwork. 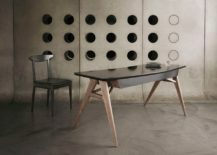 The contemporary Roos desk combines a midcentury Scandinavian aesthetic with a Mexican air. 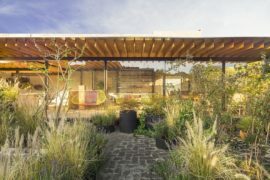 LCMX, a design and architecture studio located in the heart of Mexico City, was founded in 2009 by two brothers: Ricardo Rodríguez Elías (a designer) and Otniel Josue Rodríguez Elías (an architect). 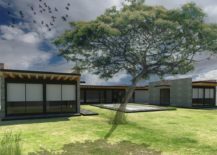 With an extensive creative portfolio, LCMX works across the fields of interior design, museography (related to museums), architecture and object design, among others. 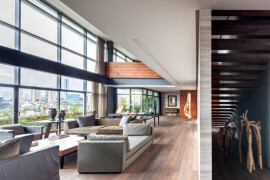 The studio is ever curious about materials and production techniques, both traditional and contemporary. Felina II. 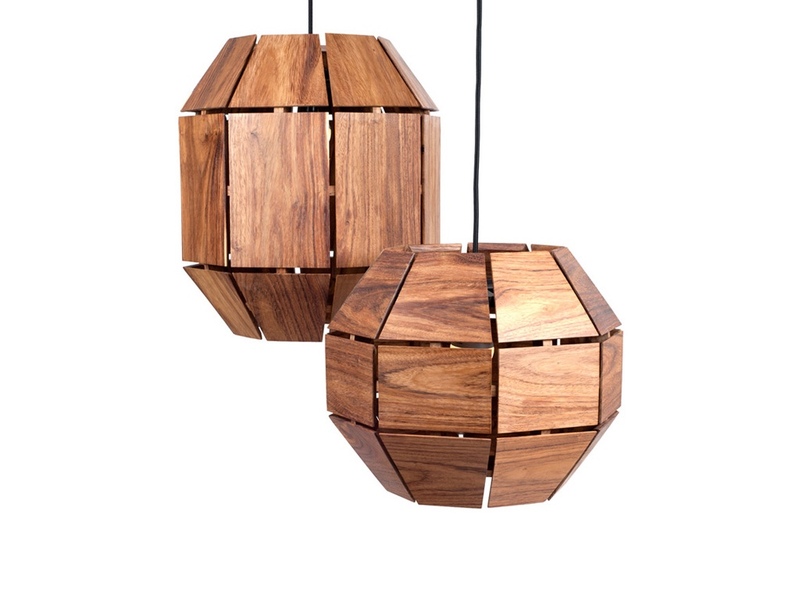 This poetic light is inspired by the simplicity of geometric forms. Stricta. 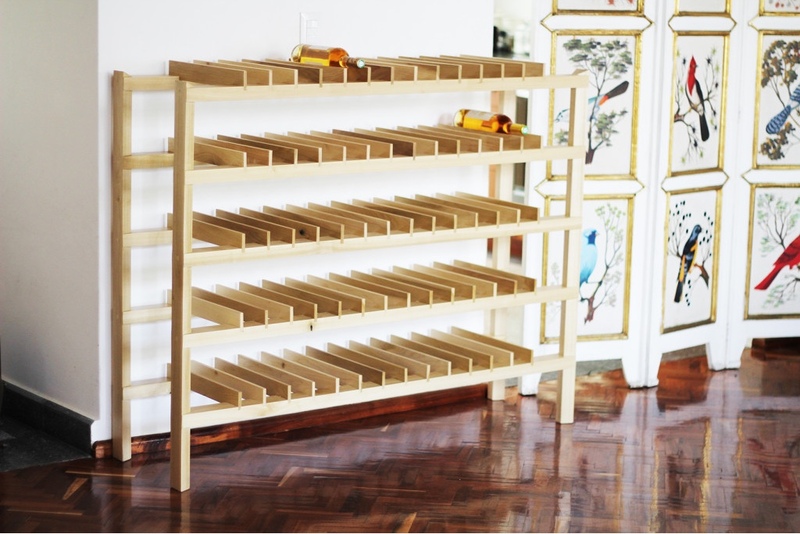 Clean and unpretentious storage for up to sixty-five wine bottles. 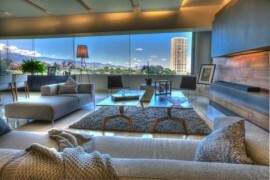 “13 de September” with architecture, interior and furniture by LCMX. 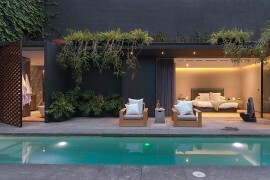 Casa R designed by LCMX. This article was inspired by a design report on Mexico City in Monocle, issue 93, May 2016 (pp. 145-147).